Chad D. Kasdin is an experienced trial litigator specializing in defending high profile cases involving catastrophic injuries and wrongful death claims. Because of his renowned clients and the nature of his cases, Mr. Kasdin's cases have been followed and featured by local and national media sources. Mr. Kasdin has successfully represented professional baseball and basketball teams, professional sporting venues and entertainment facilities, athletic training facilities, large Chicago area hospitals, a public school and board of education for a large metropolitan area, construction companies, land use groups, physicians and physician groups, corporate and individual property owners, a medical device manufacturer, professional service companies, and a national fraternity. In 2014, Mr. Kasdin was presented with the prestigious Trial Lawyer Excellence Award for the Most Outstanding Defense Verdict of the year. 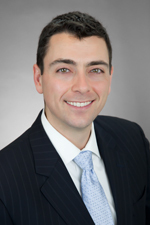 Mr. Kasdin joined Hinshaw & Culbertson LLP as an associate in September 2000. Previously he was a two-year summer associate with the firm. He became a partner in 2006. In addition, Mr. Kasdin serves as faculty and an instructor for Hinshaw University's trial advocacy courses. Obtained a defense verdict in a jury trial on behalf of a professional baseball team where the Plaintiff suffered a severe brain injury while attending a baseball game and claimed over $6.5 million in past and future medical damages. Obtained a defense verdict in a jury trial on behalf of large Chicago area hospital in case where the Plaintiff alleged negligent nursing care caused the Plaintiff to lose her kidney. Obtained a defense verdict in a jury trial on behalf of a urologist where the Plaintiff alleged the urologist improperly performed a laser prostate surgery that caused incontinence. Successfully resolved a toxic tort claim on behalf of property owner and property management company where the Plaintiffs initially made a demand of $3.3 million. Authored and argued summary judgment motion which was granted by the Circuit Court of Cook County and upheld by the Appellate Court of Illinois in Mazin v. Chicago White Sox Ltd., 981 N.E.2d 535 (1st Dist. 2009). Successfully represented large metropolitan board of education in alleged sexual abuse case. Obtained summary judgment on behalf of a professional sports venue and professional baseball team where the Plaintiff was severely injured in a stadium bathroom. Was Captain of his college basketball team and also selected to the NCAA Academic All-America team. Volunteers as a youth football, baseball, and basketball coach for the Park District of Highland Park.